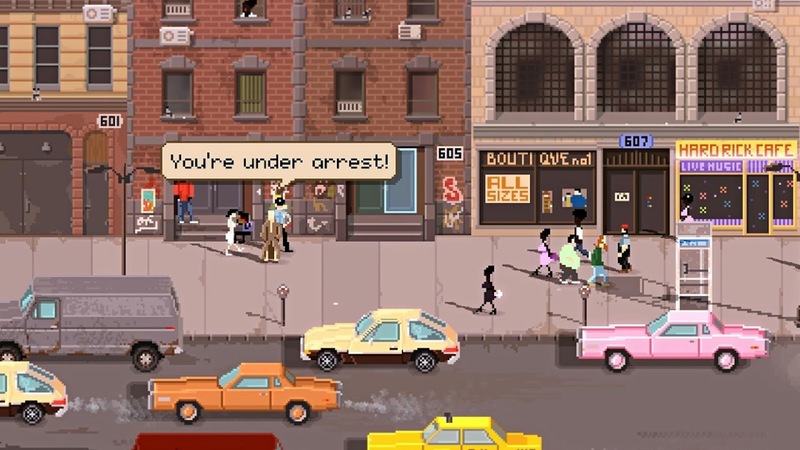 Pixel Crow and 11 bit studios have released their '80s cop adventure Beat Cop on the Play Store. It's a port of the PC release that was originally launched in 2017. 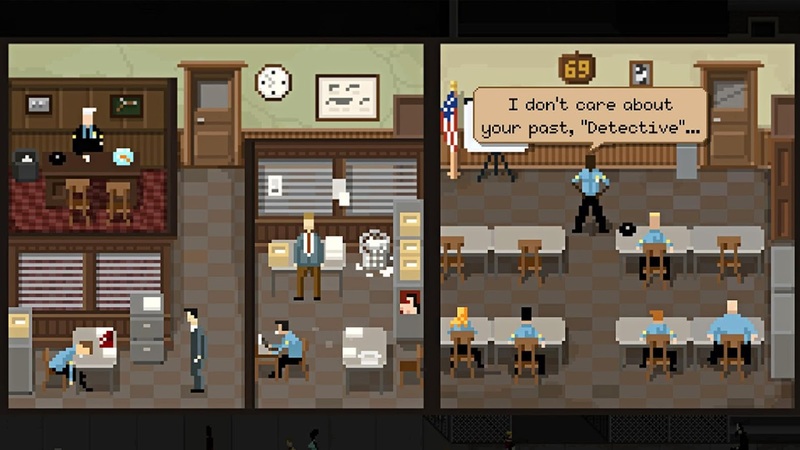 Beat Cop is a pixel-based affair where you play the part of Jack Kelly, an ex-detective framed for murder. You can expect a nonlinear story with multiple endings that's packed full of sarcastic humor inspired by the classic police shows and movies of the 1980s. So get ready to hit the gritty streets of New York to write some tickets and ultimately solve the mystery of who framed you. 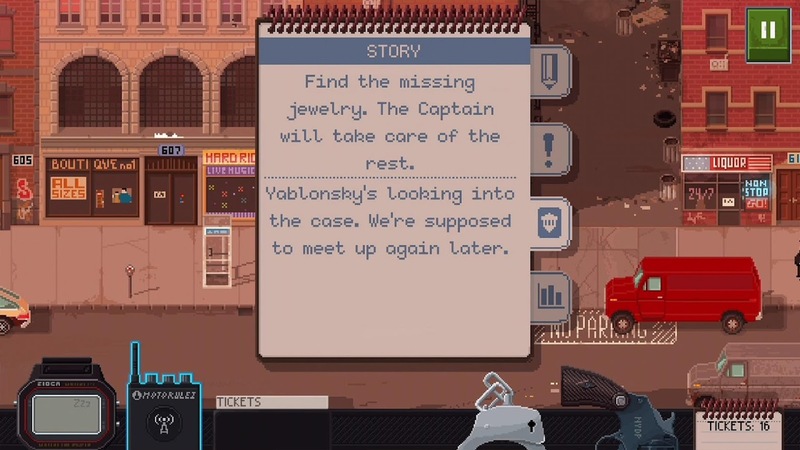 Beat Cop is an indie point and click adventure game that just made its way to Android. It's free to try, which means you won't have to go out of pocket to test out the first chapter of the game. If you decide you enjoy what it has to offer, then you'll have the option to unlock the rest of the title through a single in-app purchase priced at $4.99. The gameplay works just like any other point and click adventure game. Simply tap where you want to move and tap on the objects or people you would like to interact with. This can be tough on a smaller screen, which is something to keep in mind if you only plan on playing on your phone, especially since physical controllers are not supported. As I mentioned earlier, this is a nonlinear title, which means there are multiple endings to search out if you're so inclined. The main story can be beaten in about eight hours, which is pretty hefty for the asking price, especially if you plan on searching out each possible ending. Google Play Games Services are supported out of the box. You can choose to sign in with your GPG account when you boot up the game, and if you do, you can expect to find an achievement system and cloud save support. So if you plan on playing on multiple Android devices, you won't have to worry about losing any of your progress. Beat Cop perfectly captures the look and feel of an adventure game that would have been created in the '80s. Its crass humor mirrors many of the police movies and TV shows of the time, so if you grew up on that content, you should assuredly feel right at home with this release. The gameplay is enjoyable, the controls work well enough, and the fair pricing model allows anyone to try before they buy. It may not be a perfect game on all fronts, but it sure beats the majority of content released on the Play Store.